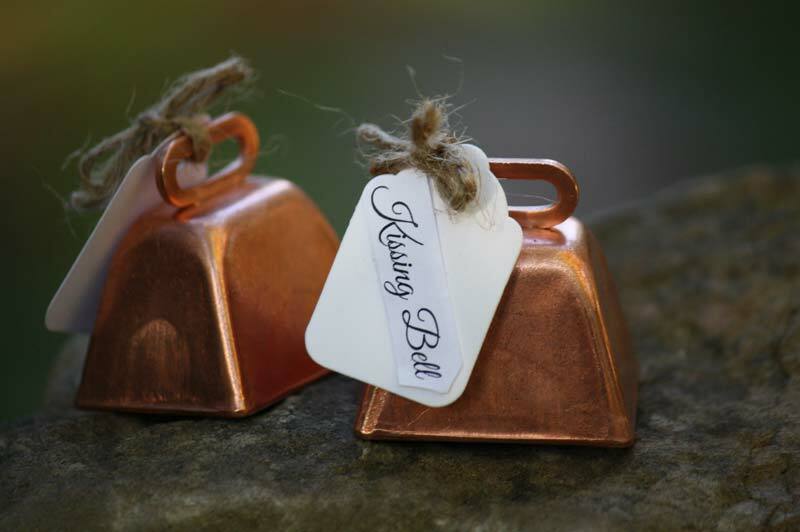 Height: 1" Height with loop: 1 1/4" Length: 1 3/8" Width: 1 1/16"
These cow bell kissing bells are great for wedding receptions. 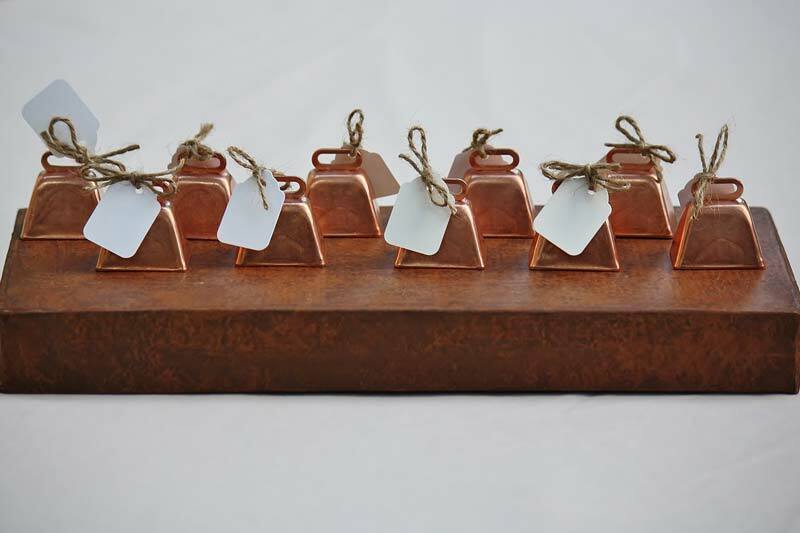 Place them on dinner tables to direct guests to their seating. Ring wedding bells for celebration and to bring good luck to newlyweds. Guests will remember the occasion!